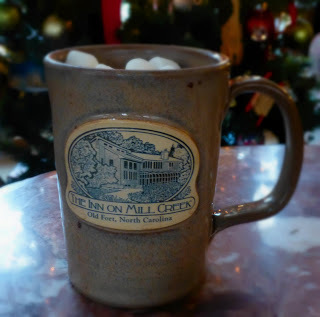 OK, so it’s 64 degrees here in the mountains of North Carolina on Christmas… well, even without a snowflake in sight, we’re still going to have hot cocoa with marshmallows by the tree and enjoy this first weekend of winter. It’s winter, right? Wishing you a wonderful Christmas weekend and a happy holiday season! This entry was posted in From Your Innkeepers and tagged holiday greetings, innkeepers and innpugs, Winter by Inn on Mill Creek. Bookmark the permalink.